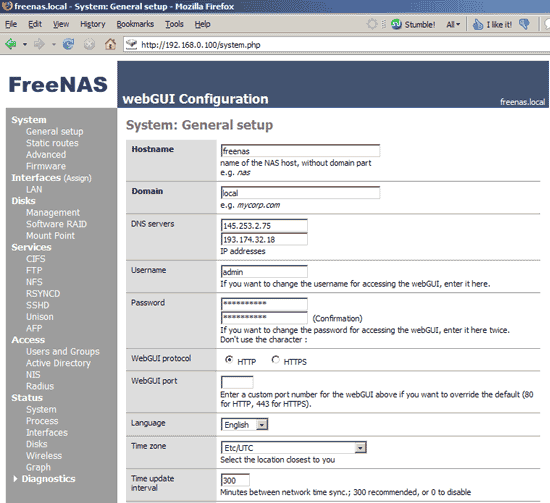 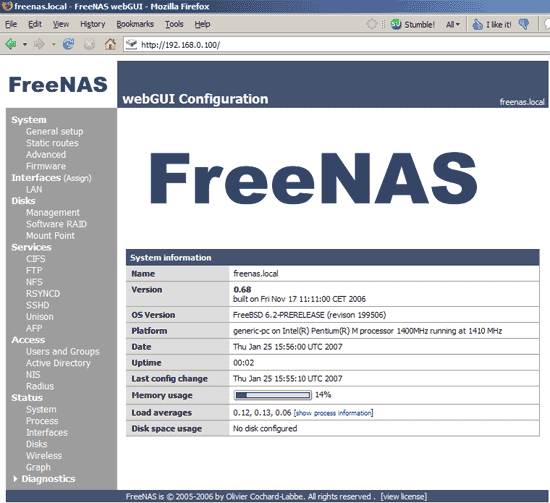 Now we log in to the FreeNAS web interface by typing http://192.168.0.100/ (or whatever IP address you assigned to FreeNAS) in our browser. 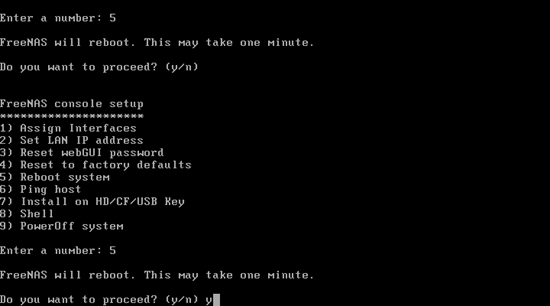 We will be asked for a login. 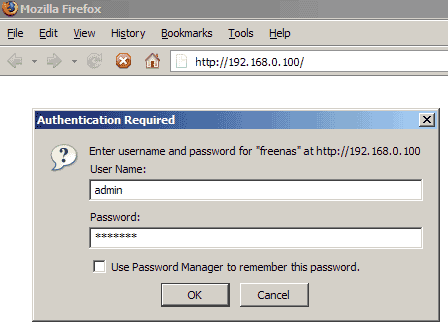 The default login is: username admin, password freenas. 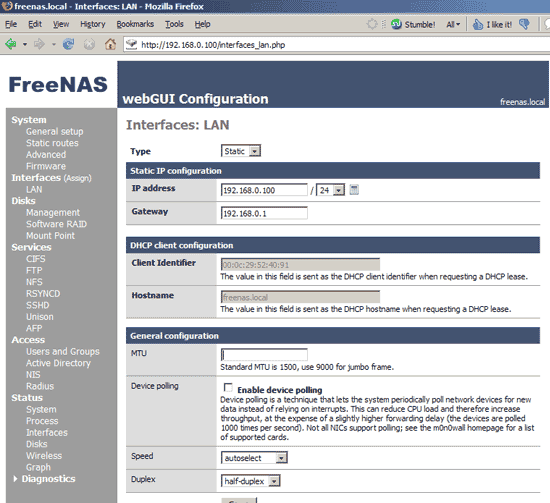 We didn't specify a gateway yet for our FreeNAS system, so we go to Interfaces -> LAN and enter our gateway IP address (192.168.0.1) under Gateway, then we hit Save. 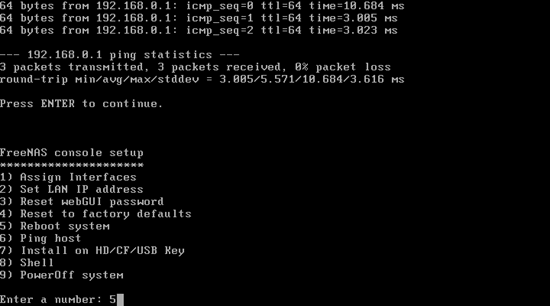 That's it for the network configuration, no reboot is needed.